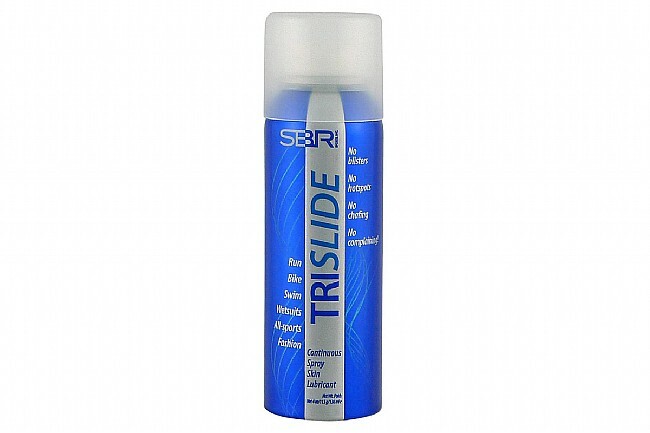 SBR Trislide Skin Lubricant comes in a spray-on aerosol can for quick and thorough application, even in hard-to-reach areas. Its sweatproof and waterproof formula helps prevent irritation caused by cycling seat pads and running apparel, and it maintains its effectiveness for hours at a time. Fragrance-free, SBR Trislide is safe to use with most fabrics, and it can washed out with simple soap and water.